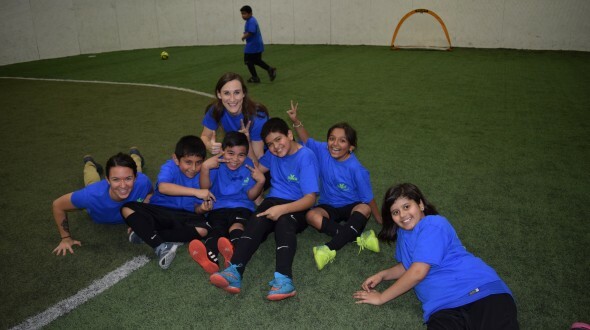 Our Work to Play Program is in full force this season, and with Week 6 being the most grateful and impactful week of them all, we just had to share it! Three schools from three different Chicago communities came together for a very special Tuesday Game Day. 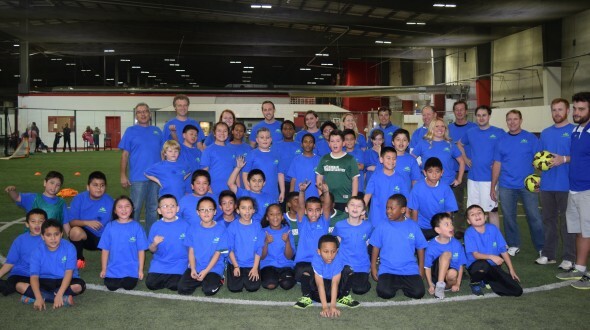 Ward, Davis, and Jenner Elementary enjoyed friendly soccer matches with our amazing volunteers from Storck USA. 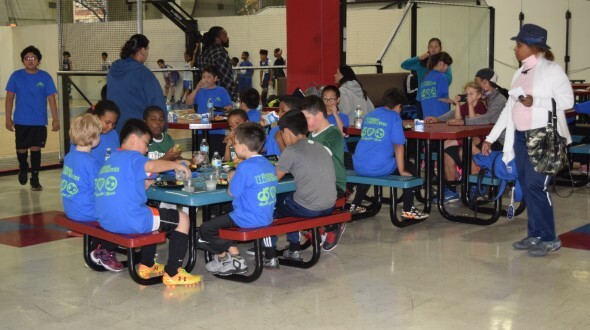 They led enthusiastic players onto the soccer fields at Chicago Indoor Sports and as games began, they became the best fans, coaches and referees we’ve ever seen! Storck volunteers were a huge help in leading the games but they also brought T-shirts for all participants to commemorate this special day. As the second rotation started, players started to communicate more as a team and to the volunteers. There was smiles, laughter, and friendships being built throughout the afternoon. Once the whistle sounded, it was time to shake hands and celebrate with delicious turkey and veggie burgers with fruit Kababs for all participants and families hosted by the amazing team from Storck USA. Being a helping hand can go a long way, and that was easily visible by the smiles on every UI kid as they boarded the their school bus. But not before they received a final gift from Coach Ralf, their own pack of Mamba fruit chews! 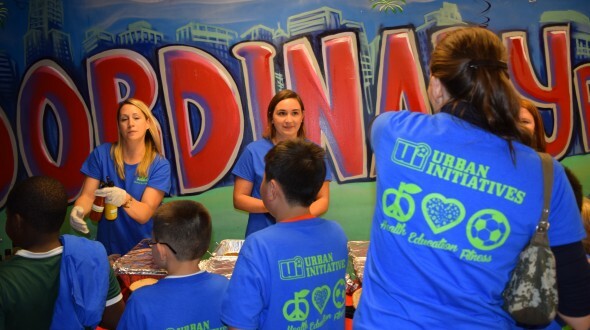 Urban Initiatives would like to thank Storck USA for hosting this one of a kind Game Day with its amazing volunteer who gave smiles and laughter to the players! Team Storck on three…1…2….3…..Team Storck!